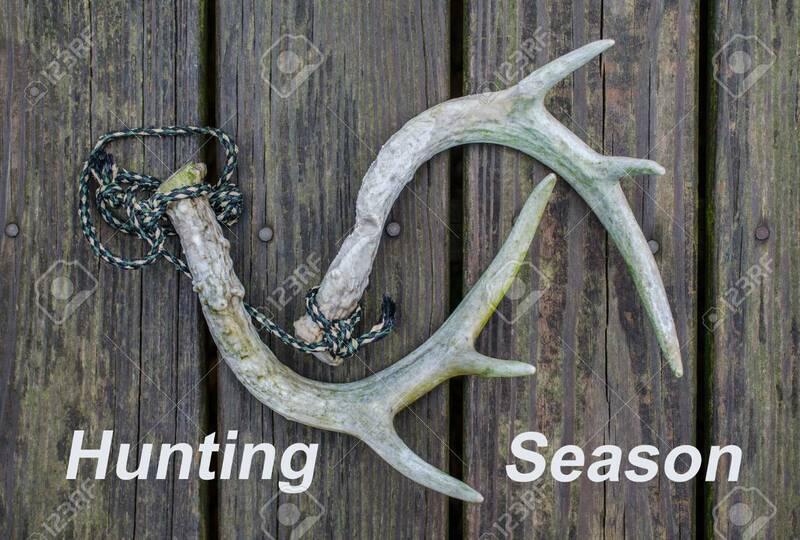 Hunting Season Notice With Deer Antlers Used For Rattling Horns. Fun Recreational Outdoor Sport Activity Of Deer Hunting. Lizenzfreie Fotos, Bilder Und Stock Fotografie. Image 105386006. Standard-Bild - Hunting Season notice with deer antlers used for rattling horns. Fun recreational outdoor sport activity of deer hunting. Hunting Season notice with deer antlers used for rattling horns. Fun recreational outdoor sport activity of deer hunting.